The World Social Forum on Migration is under construction - a Forum that fights the Walls that oppress the people, fights for refugee rights and stands for a #WorldwithoutWalls. As Palestinian Anti-Apartheid Wall Campaign we join the struggle and the process towards the World Social Forum on Migration, in particular facilitating the theme on "Realities of borders, walls and other barriers". . If you are interested in participating in this exciting experience, please contact the WSF on Migrations - contacts below - or directly StoptheWall at: global@stopthewall.org. We, the migrants and migrant organizations involved in migration from various parts of the world, find ourselves today in a world in turmoil, where the migration issue has become central to the international agenda. Almost one in four of the world’s workers is a migrant facing acutely vulnerable conditions: exclusion, discrimination, extreme exploitation, death and/or disappearance. There are 250 million of us who have crossed national borders and 750 million of us are exercising our right to human mobility within our own countries. Under neoliberal globalization, migration is essentially becoming forced displacement, including climate refugees, human trafficking and smuggling, migration through misery and mass deportations. We are direct witnesses to the fact that walls, exacerbated nationalism, the erosion of the right to mobility, the concepts of “safe and orderly migration” and denial of migration, are signs of a world trapped in its contradictions and its past. The United Nations’ current Global Compact on Migration reflects this situation. It does not go to the root of the structural causes of forced migration. At heart, it has a corporate strategy aligned with the current imperialist system. Resistance from below and to the left is vital to attack these structural problems of forced migration and to move towards building another possible world, a world in which many worlds can fit. It is necessary to organize and coordinate mobilizations that promote a universal citizenship for the one billion human beings which are part of global mobility.  Therefore, we support the principles of the World Social Forum and invite you to build the 8th World Social Forum on Migration in November 2018 in Mexico. This Forum embraces an active and leading conception of migration. For us, to migrate means to resist, to build and to transform. We call on all migrants to mobilize locally and regionally for the Mexico Forum. Knowing that millions of migrants are living in emergency situations and will not be able to be in Mexico, this process is also an invitation to mobilize locally and nationally. The Forum is built by all of us. We invite you to join or attend the previous activities (from April to October 2018) or during the Mexico Forum in November 2018. To participate, you can: register your activity (workshops, meetings, conferences, assemblies, convergences and other processes); become a volunteer (animation, help, logistics, translation, etc) by sending us an email to fsmm2018mexico@gmail.com.